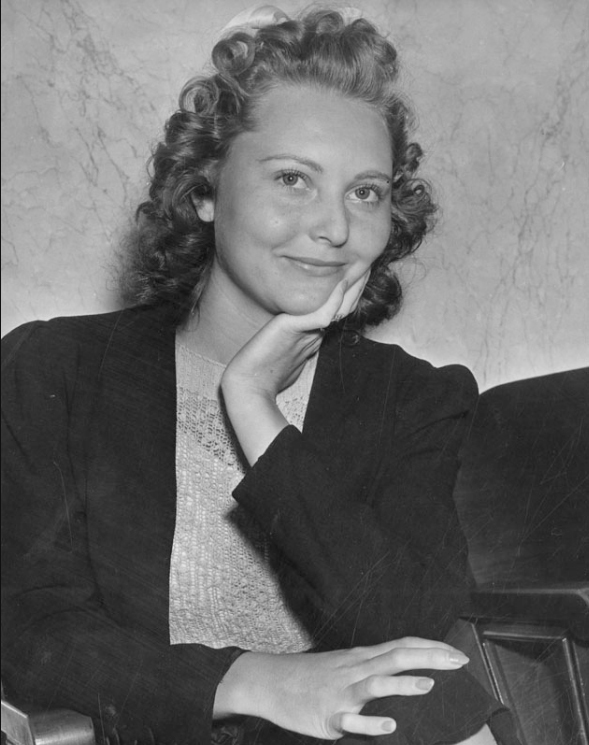 Original caption: Brenda Allen Burns today told jurors in the white slave trial how she tried unsuccessfully for three hours to resist the advances of “Glamor Boy” Bristol Barrett and the “sales talks” of men luring her into a life of shame. Brenda Allen Burns had several known aliases: Brenda Allen Burns, Brenda Burns Allen, Brenda Burns, Brenda Burris. Photograph July 18, 1940. The future notorious Sunset Strip madam Brenda Allen in 1940, when she claimed to be 21 years old, at the time of her involvement in the “white slavery” scandal involving Ann Forrester, the “Black Widow,” and her boss, Charles Montgomery. 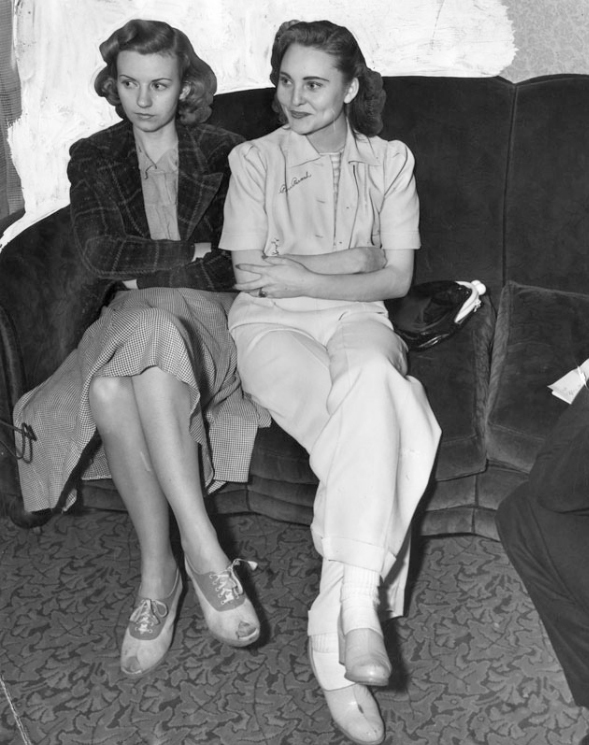 Brenda Allen Burns (right) and Helen Smith awaiting hearings during the “white slavery” scandal, in July 1940.